Exports, a need to worry? The nationalization of hydrocarbons in 2006 helped boost Bolivian state coffers. But the regulatory framework is far from perfect for stimulating investment in exploration by private companies, which has slowed the growth of the sector in recent years. Oil and gas production has fallen over the last three years. 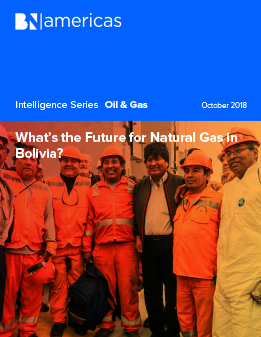 The hydrocarbons industry in Bolivia will face a series of challenges in the short term, including the renegotiation of the export contract, the main market for Bolivian natural gas. The discovery of new deposits and the incorporation of new prospective areas is key. Otherwise, the downward trend in production levels seen since 2015 will continue.